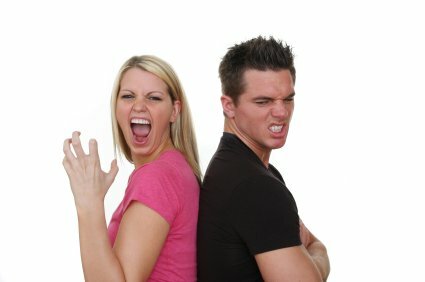 A relationship breakthrough is all about change. But it isn't always the earth shattering change that means the most. In fact, chemistry teaches us that if you change the structure of a molecule you change the whole compound. The Alchemist studies change in order to transform lead into gold. Or to transform the still, dry desert into a raging sandstorm to fend off the warring tribesmen. (The Alchemist: Paulo Coelho). In order to change something, you have to study it in it's current form, understand what influences it, and picture it as it could be. That's how Santiago, the Spanish shepherd of the story was able to learn to read the desert winds. The sculptor see's the final piece, not the rock. The potential. Is there anything you would like to eliminate from your life? No not your partner! How about the lack of confidence to speak up and go for what you want? How about uncontrollable anger? Would you prefer to increase the gap between stimulus and response? How about your "bad" habits, or negative emotional patterns? How about all your limiting beliefs about yourself or your relationships? If these were the lead, what would be the gold you would transform into? Wether it's a mechanical breakthrough, spiritual, scientific, medical, engineering or even a breakthrough in an organisation things will never be the same again. One small change can make a huge difference. Is it just one small step, or is it a giant leap? Have you ever spent hours days or even weeks trying to figure something out, an then boom, you got the answer in a flash, and it was something so simple, so small you couldn't even believe you didn't notice it before? Maybe something brand new was discovered, or perhaps you believed something for a while and found some new conclusive evidence that changed the experience entirely. Remember the discovery of the "God" particle in Cern, Switzerland? Otherwise known as the Higgs bosun, this minute sub atomic particle had been believed (scientists predicted its existence in the 1970's) but not proved for years. The experiments in the Large Hadron Collider, the worlds largest and most powerful particle accelerator, proved the suspicions of those scientists. Higgs bosun is now one of the worlds smallest known particles, and, it is believed to be the key to the creation of the whole Universe. You cant even picture that! So next time you think you are too small to make a difference, think about Higgs bosun! 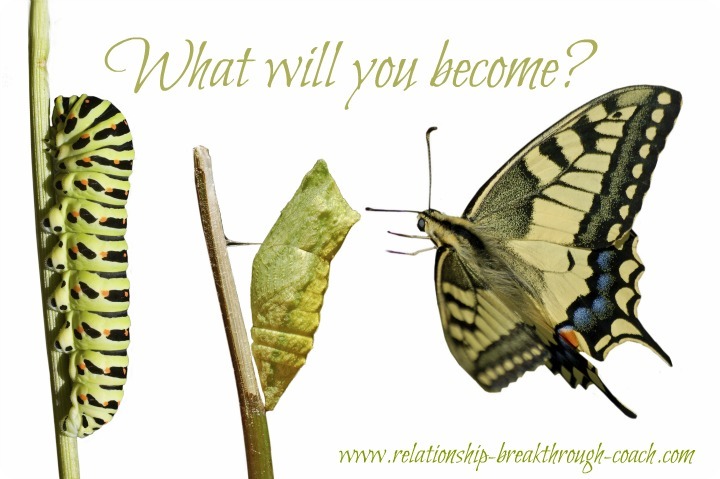 You're relationship breakthrough is all about change! You have to want to fly so much that you are no longer willing to be a caterpillar. The butterfly is symbolic of change, of transformation and shows us how the struggle is vital to our evolution. What you discover about yourself through coaching could be your personal Higgs bosun. What you do with that discovery is entirely up to you. It's all about change. That's all about change for now, but your journey, your adventure in personal discovery need not end here. Just follow the "Next Steps" and discover how personal coaching could be the answer you are looking for. We have some great stories about change and all you need to know about our coaching services. PLUS! we can show you some simple yet effective coaching tools to get you started right away! What are you waiting for? Revisit All About Change from the top to transform lead into gold. Revisit our Relationship Coaching Centre for all our coaching links. Click here to register for coaching now and get started right away. Read why our clients would happily recommend you experience coaching with us. What's it like to hire a coach? Found out the terms of our coaching agreements. "It is astonishing how elements that seem insoluble become soluble when someone listens."